Chapter 5: How to Grow Your Mailing List? You are here: Home / Free Ebooks / Chapter 5: How to Grow Your Mailing List? 5. How to Grow Your Mailing List? While managing a mailing list is a regular task, so is the process of growing the list. Due to a mailing list decay each year, it is essential that you keep trying to grow your mailing list, to keep the number of subscribers on the optimal level. And if you are only just starting out your business, it will be even more important for you to explore different strategies that will help you grow your mailing list. The first and perhaps the most common way to grow your mailing list is having a subscribe button on your website or blog. Through this option, you offer an opportunity for your subscribers to join the list in order to be updated about your new blog updates, latest promotions, etc. The most common subscribe option includes two fields, a name and an email address, but you could include additional fields if you find them to be relevant for your business. Make sure the button is of the right size. This means that it needs to be quite big to be noticed, but yet not too big to disrupt the user experience. Test the button on your website layout and then find the perfect option to go for. Using contrasting color makes the subscribe button look more highlighted. When you think about the color, always have in mind that the button is a part of the website design, so make sure the style matches the website. 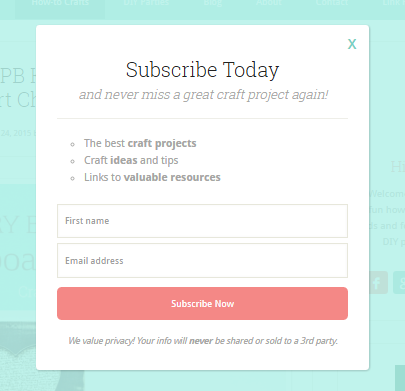 Ideally, you would want to place a subscribe button near the top of the page. 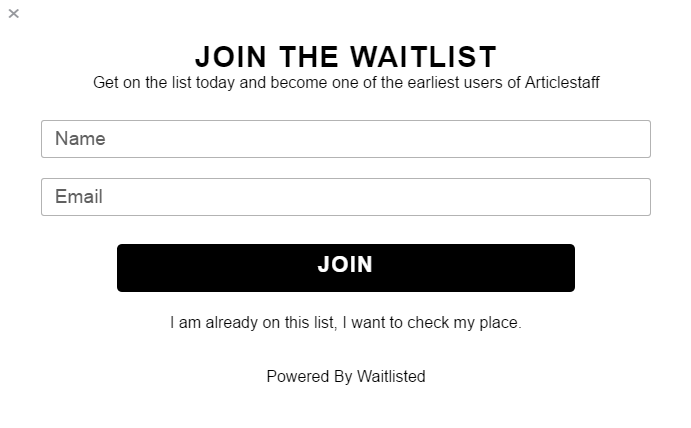 Since some users never scroll down the entire page, the button should be near the top to increase the signup rate. It also looks more prominent when placed in front of the text. A subscribe button used to be commonly placed in a sidebar, next to the text, which is a great option to go for when you think about desktop users. However, have in mind that approximately half (if not more) of your visitors will now come from mobile devices. If the subscribe button is in a sidebar, they are unlikely to see it, due to mobile-optimized web design which will show the sidebar below the text. Additionally, a subscribe button can be featured as a popup. This can accompany the existing subscribe button on the website. 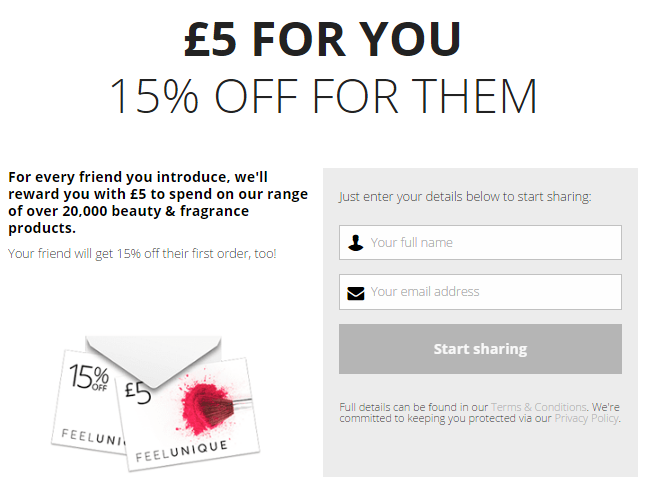 The purpose of a popup button is to attract the attention of the website visitors and encourage them to subscribe. 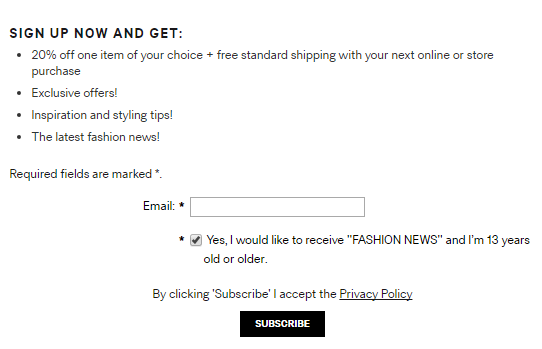 While visitors might or might not see the subscribe button on the website, they will surely notice a popup. A free download – It is commonly used by bloggers, offering free material, such as ebooks, audio or video downloads, templates, etc. 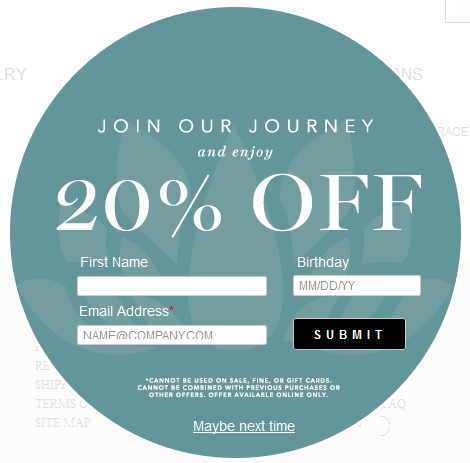 A coupon – This option is particularly useful for stores, restaurants, cafes, etc. Early access – With this special offer your subscribers will first get the glimpse of your new product or service, which is perfect for software release, subscription-based websites, etc. Another strategy that could help grow your mailing list is to use the existing subscribers to reach their friends. When you send an email to your subscribers, you could politely ask them to share the email if they believe one of their friends would benefit from it. Make sure you are not too intrusive and leave this suggestion for the end of the message. Share the opportunity for people to sign up for your newsletter as a regular status update. If you want to boost the performance of this post, you could include a link to a lead page where they would get something in exchange for their email address. It could be a free template, an ebook, or a coupon. You could use all your social media accounts for this kind of promotion, as it helps you reach a great number of users, you might not be able to reach otherwise. To go even further, you could use a paid promotion for this social media post, and try to expand your reach even beyond your own social media followers. This provides a huge reach potential thus it is a great way to grow a mailing list. Some social media websites, such as Facebook, offer a Signup button. This means that the social media users can sign up to your blog directly from your Facebook page. Once they click on it, they will be redirected to a landing page where they can subscribe. Again, it does help if you have something useful to share, such as a free download. For this process of collecting new email subscribers, it is very helpful to have a landing page. You will not be targeting your own website visitors. Instead, you will be focusing on new visitors, and when they first visit your website, you want them to see an amazing presentation. This includes custom landing page design, beautiful images, immaculate formatting, and of course, a prominent subscribe button. Landing page, in general, is very important in the process of lead generation, which is why there will be additional recommendations and suggestions on how to create a landing page that converts (Chapter 11). To make this subscription something they cannot refuse, create something that your target audience will love and find useful. Although it will require resources to be invested, this has been a proven method that significantly increases a signup rate. Add this offer to the landing page. The best way to get optimal results is to use all of the approaches to a certain extent. Depending on your business and the resources you have available for growing a mailing list, make sure you define a strategy that will produce great results in the long run. If possible, you could determine the exact cost of an email. For example, based on your prior experience, you have concluded that 10 new email addresses equal to at least one sale, then you could calculate the value of a new contact. This could help you with determining the budget. You should always monitor the process to make sure the subscription rate is at a certain level, that there is nothing that has a negative influence on it (such as an invalid download link on the landing page). Monitoring and the analysis of the process will only help you make your strategy even more successful, as you will learn more about your subscribers, the way they interact with your content, which channels they use to find your website, etc. And the more you get to know your subscribers, the easier it will be for you to convert them.